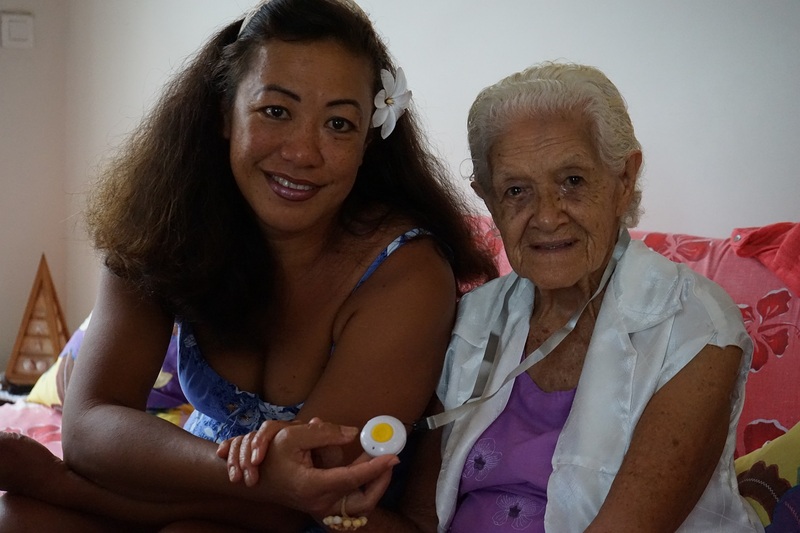 Dr Henri Loquet, of the Rotary Club of Taravao Tahiti-Iti, found an elderly person deceased in her bathroom four days after her fall. He then suggested installing assistance alarms for the elderly in their homes. The device does not exist on the territory of French Polynesia, so Taravao Tahiti-Iti Rotary decided to order ten alarm units from France (costing Central Pacific Franc XPF 25 000 per unit), with the help of the Rotary Club of Papeete-Tahiti. It was not easy to get them, but after several months of investigations and with the permissions of the authorities, the devices finally arrived. Older people are visited during the day (by families, carers and cleaners) but they are left alone at night. The installation of these devices to alert relatives in case of a fall is a way to help these people quickly when the consequences can be dramatic. The difficulty to get up, to move, poor vision, sleep disorders, urinary problems are a multitude of factors that will make the elderly vulnerable when night falls. One of the first alarm beneficiaries, 93-year-old Hélène Lucas, was offered the system and installation during a visit by Taravao Tahiti-Iti president Bernadette Wasna and Rotarians Henri and Loana Loquet. After explaining the necessity and usefulness of such an installation, tests were performed. If she needs assistance, Hélène will only have to activate the base unit buttons wisely placed in the busiest parts of her house, plus there are a push button necklace and bracelet. This safety device can indeed save lives and since its inception, the club has received additional demand, so Bernadette is considering another alarm order after the buzz created on social networks, as the article received almost 800 likes when it was first published.